Take a trip down memory lane with this ramble around the Clyde township. 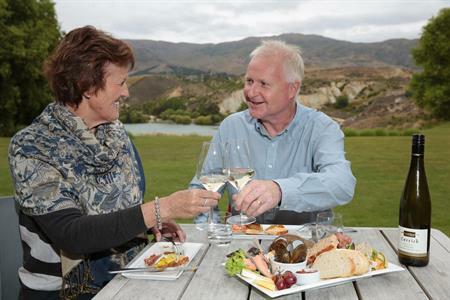 Originally called ‘The Dunstan’, this Central Otago goldfields town was the hub of mining activity in the 1860’s and retains its solid charm from those arduous days of the past. After Hartley and Reilly made their discovery of gold on the river in 1862, thousands of miners rushed to claim the riches of the ground. ‘The Dunstan’ started as a tent village beside the river and evolved into a substantial settlement before the gold ran out. 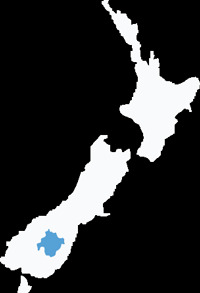 It officially became ‘Clyde’ in 1865 but the original name is still sometimes used to refer to the area. For the last one hundred years or so Clyde has been a picturesque holiday destination surrounded by latter day gold from the land; wonderful fruit and vineyards. This one hour walk within the central area of Clyde will take you past many original stone dwellings, businesses, and public buildings. 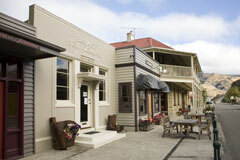 Stroll around this easy walk on town footpaths and soak up the atmosphere of a bygone age. Make sure you get the ‘Walk Around Historic Clyde’ brochure to guide you through this journey and follow the feature plaques set into the pavement. There are numerous places to stop and linger, have a picnic, or enjoy the hospitality of the numerous temptations on offer. The walk starts at the Clyde Dam (north) end of the town by the miner’s memorial and is a circuit around six town blocks. 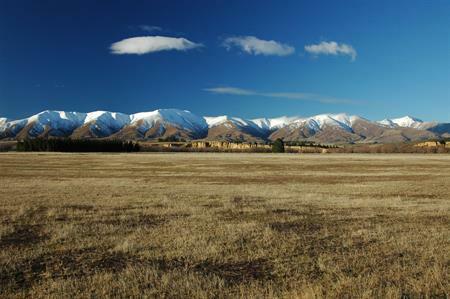 Clyde is a typical Central Otago town weather-wise; very hot in summer and very cold and dry in winter. Dress appropriately for the season you are in.